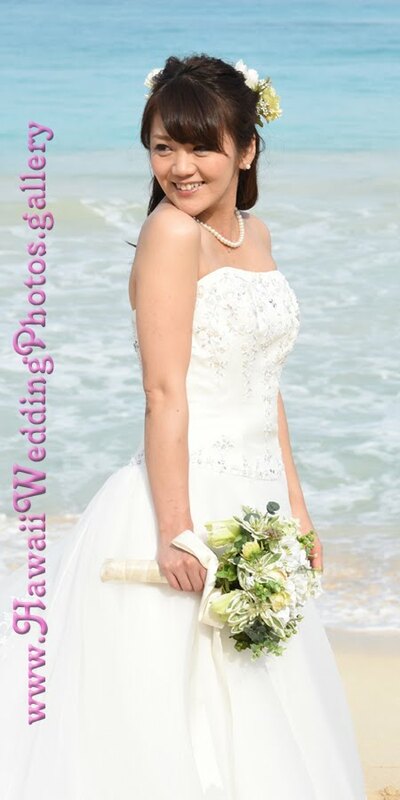 Charming Bride Maki with husband Tsukasa on their Waimanalo wedding photo tour with Photographer Robert Hamilton. Rabbit Island, famous Waimanalo Bay backdrop, helps you know where you are. 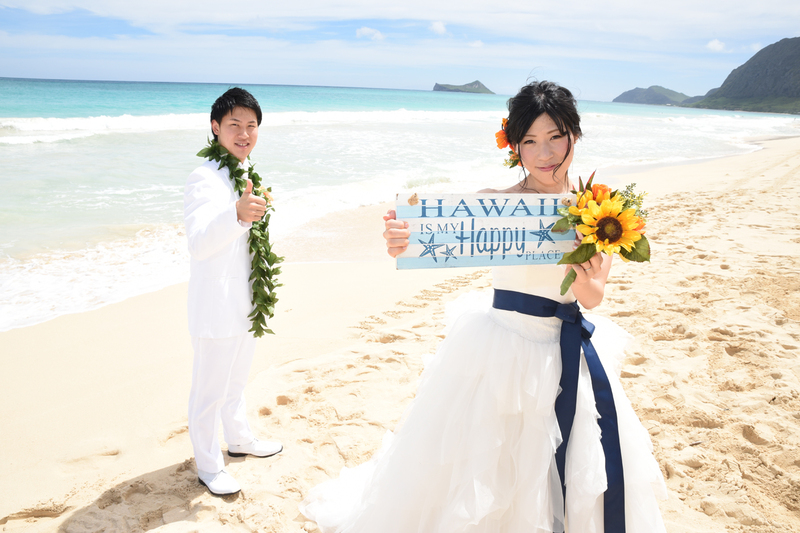 Aloha from the Hawaiian Islands, enjoying our Oahu honeymoon!